DyStar, the leading global supplier of dyes and chemicals, joined the Sustainable Apparel Coalition (SAC). With this step, DyStar continues their efforts in reducing the environmental and social impacts of the apparel production. DyStar is pleased to announce that it has joined the Sustainable Apparel Coalition (SAC), the collaborative venture established in 2011 by leading apparel retailers, suppliers and manufacturers with participation from academics and NGOs. The main objective of the SAC is to develop an Apparel Index which takes a full life-cycle view of an apparel product and identifies all major social and environmental impacts along the production chain from cradle to grave. 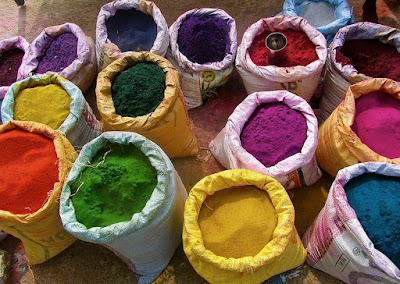 Dyes and chemicals are a key area of interest for the SAC as not only do they add significant value to the apparel in terms of color and performance but they can also have a major environmental impact at the wet processing stage of fabric production. DyStar is the leading global supplier of dyes and chemicals to the textile industry and not only has a long history of action to reduce the environmental impact of the supply chain but also recently issued its first corporate Sustainability Report prepared according to GRI principles. DyStar already works closely with many of the brand and retailer members of the SAC in creating seasonal color palettes through its Color Solutions International business headquartered in Charlotte, NC and in ensuring compliance of its products with Restricted Substance List requirements through its econfidence program. Signing the SAC Letter of Commitment, Harry Dobrowolski, President of the DyStar Group said, "Our membership of the Sustainable Apparel Coalition signifies our commitment to working together with our partners in the industry to deliver systemic change in the way that textiles are manufactured globally." DyStar is a founding member of ETAD, a System Partner of bluesign and a member of the Textile Exchange. Through its Sustainable Textile Service program for brands and retailers DyStar can help to improve communication on chemical requirements along the supply chain and to minimize the risk of costly product recalls due to chemical contamination. Through its global network of technical experts DyStar also assists in identifying ways of reducing the overall water and energy consumption of textile mill processing. Jason Kibbey, newly appointed CEO of the SAC remarked, "We're thrilled to have DyStar join the Sustainable Apparel Coalition. We look forward to their participation in building and implementing the Coalition's sustainability index to measure and improve sustainability initiatives throughout the entire industry."